Prior to and throughout 2018, the National Cotton Council focused on policy development for the 2018 farm bill. After NCC delegates adopted a full set of farm bill recommendations in early 2018, the NCC began conveying its priorities and concerns to Congress. Specifically, the NCC took a delegation of 13 industry leaders to visit 40 Congressional offices, including the farm bill conferees in both houses, to emphasize cotton’s priorities and concerns in the farm bill’s House and Senate versions. Later, the NCC joined with 66 other cotton and related industry organizations on a letter to the 2018 Farm Bill Conference Committee members and to the Senate and House agriculture committees’ leaders. The letter, which emphasized the need for farm law passage before the end of 2018, was sent just prior to the convening of the Conference Committee to resolve the differences in the House and Senate versions of the new farm bill. The letter applauded both bills for continuing the Agriculture Risk Coverage/Price Loss Coverage (ARC/PLC) policy for seed cotton with a reference price of $0.367/lb. 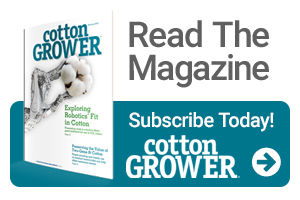 – an important safety net for cotton producers that also supports the industry’s downstream segments. However, the cotton organizations’ letter also outlined concerns. They urged that at a minimum, full baseline funding (no less than $0.03/lb. for the 10-year baseline) be maintained for the Economic Adjustment Assistance Program (EAAP). It was emphasized that the EAAP support improved competitiveness and efficiencies in the U.S. textile manufacturing industry, including stabilizing or increasing industry employment. The letter urged no further tightening of “actively engaged” eligibility provisions as contained in the Senate bill and for maintaining the House provision that expands the definition of family member for eligibility purposes. This would help today’s many multigenerational family farms avoid unrealistic labor contributions to remain eligible for the safety net. The letter also cited the need for maintaining the no-cost House provisions that update the upland and extra-long staple cotton loan programs, urged the current adjusted gross income means test not be reduced from $900,000 to $700,000 as included in the Senate bill, and asked for farm bill report language that would urge USDA to make regulatory changes to help enhance cotton’s timely movement through the marketing channels. Since late summer, the NCC also has reminded producers of certain key deadlines for other federal programs that would enhance their economic viability. Enroll the farm in ARC/PLC for 2018. Producers also have been reminded that January 15, 2019, is the signup deadline for the Market Facilitation Program (MFP). Because MFP payments are based on actual harvested production from 2018, USDA is urging producers to apply for the program after the 2018 harvest of an eligible commodity is complete. On another front affecting economic viability, the NCC assessed damages from Hurricanes Florence and Michael. The NCC also worked with cotton industry leadership in the affected areas in preparation for submitting recommendations to Congress regarding options to provide the needed disaster relief to cotton producers and other crop producers. 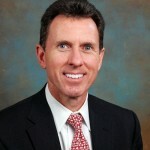 Dr. Gary Adams is President/CEO, National Cotton Council See all author stories here.